spinning classic Industrial, Electronic, New wave & Synthpop! Over the years members Nicklas Stenemo and Christian Berg has done almost everything in the big book of NO (written by tired record labels in the 80-90s). Only working with the EP-format instead of the usual single/album format. Saying NO to things that other bands would have dreamed doing just to quickly reach fame and success. 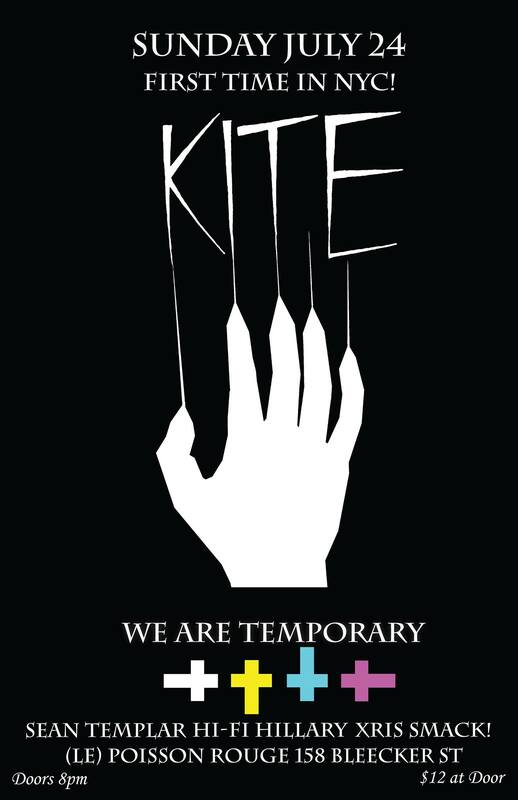 Slowly Kite have worked up their own concept and their own ideas totally erasing the way ”things used to be made”. Kite released their latest EP ”VI” in the spring of 2015 and with this EP they took their sound landscapes to a new level, darker and more harmonic that their previous releases. The tracks on ”VI” reach new heights with their amazing atmospheres and dramatic feel. After the release of ”VI” they have taken over Sweden with sold out shows all over the country with massive light shows. This fall they did four larger-than-life shows at Naturhistoriska riksmuseets IMAX-dome in Stockholm with Swedens largest screen as backdrop. In Sweden they have been called ”the best thing you can experience live” and ”Kite is the best pop music that has come out from Sweden since The Knife”. Many call them Sweden’s best kept pop-secret. We don’t! We have just given them the time it has required.